Claranet has been awarded a position in Gartner’s first Magic Quadrant for Data Centre Outsourcing and Hybrid Infrastructure Managed Services, Europe. 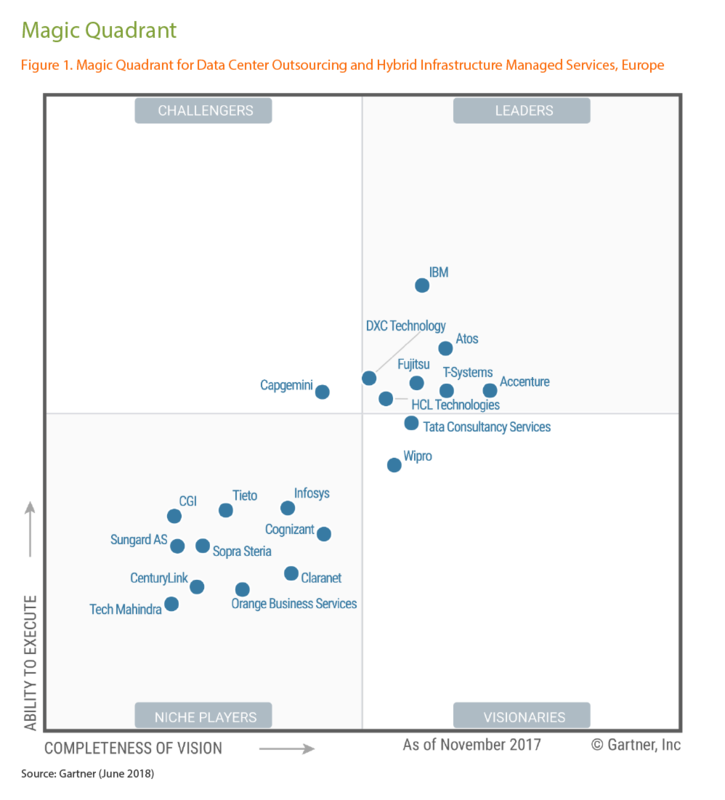 This Magic Quadrant recognises organisations that have achieved a high level of consistency and excellence in the provision of agile, flexible managed infrastructure services, as well as a positive track record in the outsourcing of data centre capabilities. This reflects the evolving ways in which businesses access and manage IT in an era that demands adaptability and a holistic approach to technology. We are proud to be recognised in this latest Gartner Magic Quadrant alongside so many other global players, which we believe is a positive reflection of the work we have done to enhance our expertise in the migration of applications to both public and private cloud platforms, and the management of critical applications and infrastructure 24/7." private cloud services plus hyperscale public cloud services.